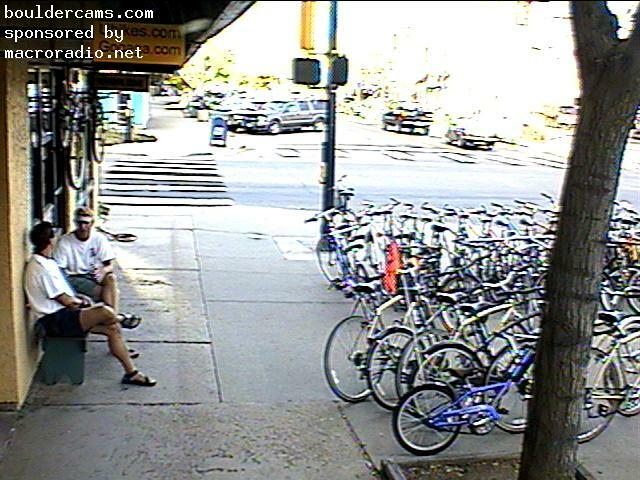 Shots from the Boulder Cam, 9-18-98 @ 9:00 pm. Please be patient, 27 large photos loading! 1. Mrs. Brady in red vest with hands up. 3. Mapek in plaid jacket. Reporter (taking notes) and photographer (in blue) at left edge. 8. Panico in cream and wheat and tennis shoes, sixth from the left side above, beside a sleuth in nose glasses! 9. Panico again, side view above. 10. Panico, back view above. 11. Panico, front view above. 16. Denver in center in black blazer. Ruthee in blue sweater with necklace in center front. 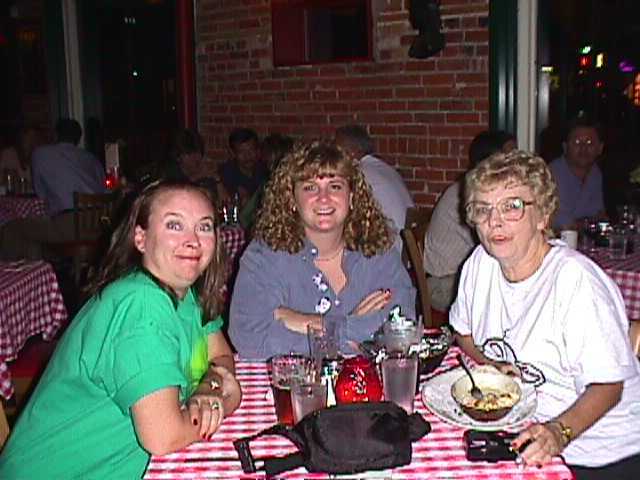 Mrs. Brady, Catnip and Panico at Pasta Jays. 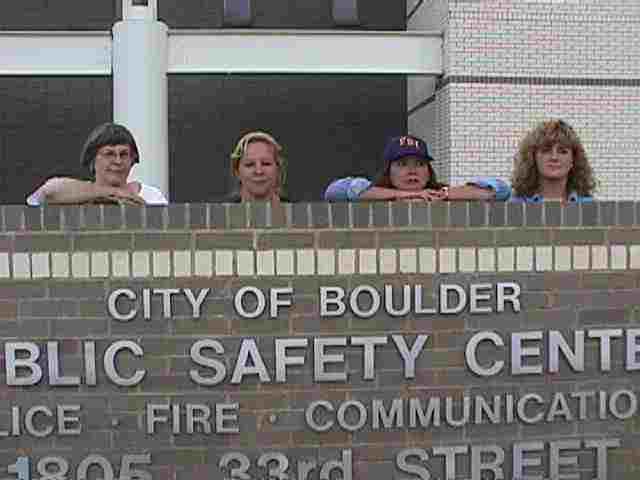 "reporter", Jan", "Ma" Brady and "Catnip" posing at the Boulder cop shop Saturday afternoon. Thursday, September 17, 1998, at 3 PM.